Enjoy Shakespeare outdoors and under the stars! Bring your own blankets, lawn chairs and picnic supper and enjoy Delaware Shakespeare’s presentation of Henry V - the ultimate against-all-odds victory story. Friday & Saturday: Gates open at 6:15pm for picnics, show begins at 7:30pm. Sunday: Gates open at 4:45pm for picnics, show begins at 6:00pm. General Admission tickets are $18. An annual day of outdoor fun in Arden, Delaware, featuring a full day of live music that begins at noon. 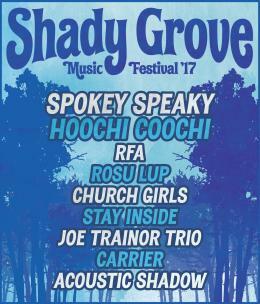 Enjoy the sounds live, original, home-grown music under the canopy of the Arden woods. This rain or shine festival is family friendly, so bring the kiddos (but leave the pups at home). For your comfort, bring a lawn chair or blanket. Food and beverages will be available for purchase. Tickets are $15 in advance or $20 at the gate. 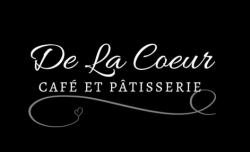 De La Coeur is a French-Inspired Cafe with locally sourced, sustainably produced food - all made with love! Join them on Saturday for their monthly Prix Fixe Dinner. This month, the menu includes corn fritters, gazpacho, pork roulade, and cream puffs with fresh fruit. $80 per person, with complimentary fine wine pairings. Reservations are a must! 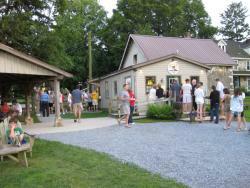 There&apos;s no better place to celebrate National Ice Cream Day than Woodside Farm Creamery! Try new ice cream flavors, take a behind the scenes tour of the farm, and enter the ice cream eating contest. Event runs from noon - 4:30pm.